They may seem like an unlikely pair, but Michelle Obama and former President George W. Bush have a warm, genuine friendship with one another. 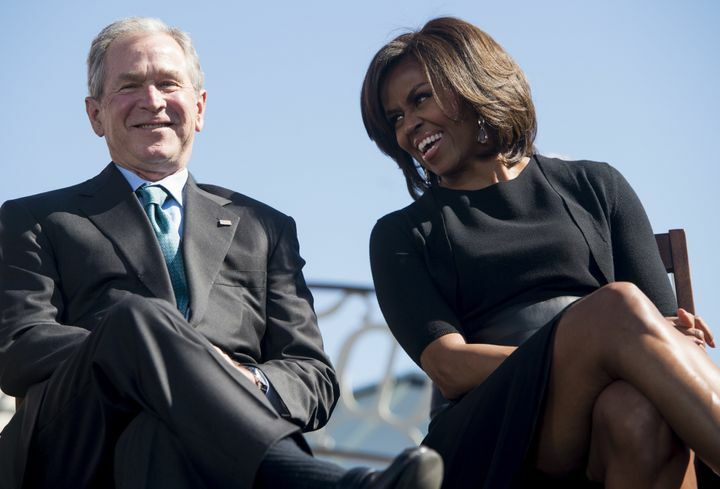 George W. Bush smiles as he speaks with Michelle Obama during an event marking the 50th Anniversary of the Selma to Montgomery civil rights marches at the Edmund Pettus Bridge in Selma, Alabama, March 7, 2015. 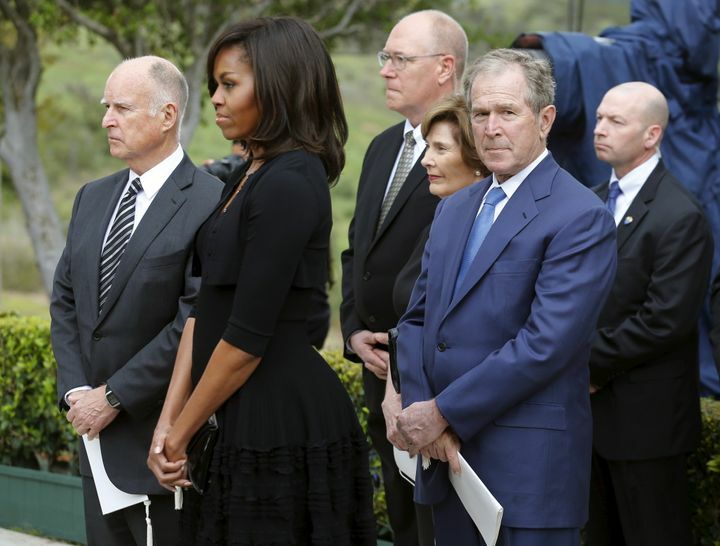 Bush and his wife, Laura, wait to pay their respects with Obama and California Governor, Jerry Brown, during the funeral for former first lady Nancy Reagan in March 2016. Yet, the reason why the two get along so well is pretty simple: Bush makes Obama laugh.